Law Web: When encashment of bank guarantee is not permissible? 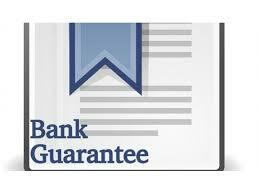 When encashment of bank guarantee is not permissible? that of Clause 18 of Union of India (DGS&D) (supra). to encash the Bank Guarantee. Guarantee by the respondents herein. to set out the relevant facts in brief infra. with price variation clause benefit. Central Railway vide letter No. ‘Bank’) for a sum of Rs.1,32,78,820/-. by it for the said work from the respondents. return of the Bank/Performance Guarantee No. caused the respondents a loss of Rs.5,58,16,036.33. settlement of dispute by arbitration. Guarantee No.12/2006 released from the respondents. the Bank Guarantee from the appellant. against this order, which attained finality. another six months, i.e., upto 13.07.2012. 2012 before the High Court. District Judge and dismissed the appellant’s appeal. filed this appeal by way of special leave. learned senior counsel for the respondents. instead of again going into the merits of the case. encashing the bank guarantee in question. the impugned order and hence it be upheld. facts of the case at hand. liable to pay to the respondent a sum of Rs. appellant by way of damages a sum of Rs. 2,28,900/-. which was carried by the Union of India to this Court. the subject held that an expression "sum due"
by observing in para 11 as under. Mallik,AIR 1941 Cal 639 S. Milkha Singh v. N.K. party for the injury which he has sustained. of the person who has committed the breach. restraining the appellant from doing so. case of Union of India (DGS&D) (supra). 04.01.2012 did not file any appeal against this order. relation to encashment of Bank Guarantee no.